I love electronics, especially car stereo. I love the way things continue to improve and get better with more and more features. I’ve seen a lot of changes in car audio over the last few decades. And I love it when the best get even better. This is just what happened at Kenwood. Kenwood gives a great bang for the buck, and if you want their best, it’s been their eXcelon line. But their best just got better with their brand new Reference series. One of those is the DDX9905S. We’ve reviewed many Kenwood products in the past, so we’re very familiar with them. So when given the opportunity to review one their new Reference series, the Kenwood XR eXcelon Reference DDX9905S, we naturally jumped on it. Unlike in the past when the receiver came in printed box, this was a preproduction unit, so it came in a white box. That explains why we don’t have photos of the standard box that they come in. But the functionality and features are exactly the same. I love the design and features of the new Kenwood XR eXcelon Reference DDX9905S. The internal capacitors and components are better quality. It is fully engineered and designed for improved sound. But it isn’t just the sound. They also greatly improved the picture quality with the use of a new high resolution 1280x720 display! I could say the display is gorgeous, and that description would not give it justice. It’s eye candy that will have you grinning from ear to ear every time you turn it on!! The Kenwood XR eXcelon Reference DDX9905S has me thinking of synergy, which is what it provides. Synergy is when the whole is more than the sum of the parts. With their improvements on the audio side, as well as the improvements on the video side, the result is an overall greatly improved product that yields much better results overall. The improved video quality, and improved sound quality, will leave a semi-permanent smile on your face. New models are released every year, and often times the improvements may be marginal. Occasionally, manufacturers will provide us a real treat and give us a new model with major improvements over the previous product. And that is exactly what Kenwood gave us with the Kenwood XR eXcelon Reference DDX9905S. The decision to upgrade just got much easier. I cannot recommend it enough for those of you that are either in the market, or considering a present to a loved one. All of those improvements got me thinking, and I do have one gripe. It’s against the transport. The gripe is not that it’s a bad transport. It’s actually a great transport that is quick and performs very well. But it’s an aged format: DVD. Kenwood knocked it out of the park with the new reference series of receivers. But they could have sent the ball not just out of the park, but into the atmosphere with the inclusion of a blu-ray transport. However I guess that’s not really a gripe, but more of a wish, as no one in the car audio world has a blu-ray in-dash receiver. At least not yet. For those of you that are familiar with Kenwood, the Kenwood DDX9905S includes the features that you have come to enjoy: 13 band EQ, time alignment, DSP, sound staging, and cross-overs. It can also handle Hi-Res Audio in FLAC, WAV, MP3, WMA, AAC and as well as DSD up to 11.2 MHz. There’s also Dual USB connecters, and Dual Phone Connection which allow you to operate two phones handsfree. You can also connect up to 5 Bluetooth devices, so you and your family/friends can enjoy all of your tunes as well as their tunes. It’s Spotify and Pandora Ready. There’s also inputs for a dashcam, front and rear cameras for parking assist, and iDatalink Maestro for display of your vehicles infotainments such as HVAC controls, vehicle performance info, etc. There's even an A/V output! Big updates in features is the Web-link app. This allows the control on screen of apps on your smartphone such as Waze, Youtube, and Yelp. Also huge is the included Android Auto and Apple Carplay. Thru these features, you can access control of your smartphone for hands free calls, listen to voicemail, send or receive texts and listen to music. Also, thanks to the GPS, the DDX99055 can access your smartphone’s maps for GPS functionality, giving you directs like a receiver with Navigation built-in. The Kenwood DDX9905S has me very excited on paper, this receiver has all the features we love and need. And while it doesn’t have Navigation built-in, thanks to Android Auto and Apple Carplay, you can get the same functionality. The real question is how well does it perform. Well, let’s find out! As an audiophile, the Kenwood eXcelon line has always provided a great sound. And if you have high-end amps and speakers, Kenwood has provided the resolution to take advantage of high end gear. I am very glad to be able to report that the sound of the new Kenwood XR eXcelon Reference series has been improved even more. The use of the new custom-made and carefully selected internal components, as well as the tuning, has really paid off. Initially skeptical, I am now a believer. This improvement in sound quality shone thru more particularly in Hi-Res audio. I turned to a DSD 5.6 MHz track. Eric Bibb: Meeting at the Building, as well as a multitude of other favorite tracks. Highs were crisper and cleaner without being bright. Mids were smooth with great detail without being overly warm. Midbass and bass had excellent pitch definition, depth, fullness of bass, and authority, all without being muddy. The Kenwood XR eXcelon Reference DDX9905S proved to be transparent in sound, relaying the sound as you are used to hearing for your music, without coloring it. If you are looking at an upgrade from a previous generation Kenwood eXcelon product, the improvement in sound is not huge, but also not minuscule. There is definitely noticeable improvement in sound. I loved the other features as well. Being able to have 2 smartphones connected proved to be a nice feature when being out with my wife. And having the ablity to have multiple phones paired with Bluetooth allowed my kids to play their music as well. I really loved the multiple inputs, to be able to play music from so many devices. There was some disappointment as I confirmed the lack of compatibility of my LGV20 smartphone with wireless android auto. But the remote app worked very well. And if my USB cable was discovered missing thanks to a teenager, I could still get voice prompts for the navigation thru my phone via Bluetooth connection. Connecting any phone with the USB port, did give full access to the wonderful extra features. Web-link proved to be a great and convenient feature! My kids enjoyed watching YouTube videos. And having access to Yelp made it easier to find a quality restaurant thanks to reviews. With the use of Waze, I had GPS navigation. It worked well, and I was not missing the fact hat the receiver did not have Garmin Navigation built-in, as their flagship DNX995 does. But I do like the fact that the receiver does have its own GPS antenna that plugs into the back of the DDX9905S, that way you are not relying on the quality of the GPS antenna in your phone. Reviewing the Kenwood Reference DDX9905S was both easy and hard. It was easy, because using the DDX9905S was so fun. The display and sound was pure candy to the visual and aural senses. But that’s also why it was hard. The experience was so pleasant that I got caught up in playing music and watching videos that I had to keep myself on task. I guess that’s one of the best complaints that can be received. The interface was also pleasantly smooth, fast and very responsive. Models in the past have had an interface that was slower, but that is not the case with the polished interface of the DDX9905S. 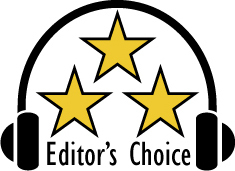 Based on it’s design, features, quality and performance, the Kenwood XR eXcelon Reference DDX9905S has earned our Editor’s Choice Award. With an MSRP of $899, the DDX9905S is a bargain and worth every penny! For more info and complete specs, check out their website at www.kenwood.com/usa. Reference gear used: AudioControl DM-810, JL Audio XD600 6 channel amp, Massive Audio BL1, Infinity Perfect Series 3-way component speakers, Image Dynamics dual ID10 subwoofers.